We’d like to share a few of the ways we sell our plants hoping it might help others in pursuit of their dream. Firstly don’t expect miracles when you start out and be prepared to fail just when you think you’ve got the hang of it. It’s the most natural thing in the world to fail and we all fear failure more than anything else I’m convinced. The secret is to carry on and carry on and keep going in pursuit of your dream. There are thousands of people out there selling plants but don’t let that put you off. There is always room for someone that can do it better. Notice I said better … not cheaper! And there lye’s the secret. Where possible look to create an offering that is just that little bit different. Often referred to as selling to as a niche. Once you find it your customers will seek you out. But how do you know who your customers are? I try to imagine my ideal customer standing right in front of me and then I decide which marketing strategy works best before I reach out to them. You can only do this when you understand enough about them. This is often referred to as your target audience. It doesn’t matter if you sell your plants for £3.50 or £10.50 the principle is the same. If your customers feel valued and you offer value in the form of advice and guidance as well as great looking plants, you’re half way there. Your business will survive just as long as you have happy customers, your reputation will be built on happy customers and your continued success will be as a result of you keeping your customers happy. Just ask anyone at Blackberry. Imagine how difficult it is to attract a customer and then imagine how much harder it would be if you lost that customer and had to then try to pull them back in. I can tell you from experience its virtually impossible so best try and get it right first time. In today’s connected world it’s all too easy for people to say bad things about your business so don’t give them any reason to is my advice. Make buying your plants easy for your customers and in no time at all they will warm to you. At the end of the day customers are the future of your business and you can’t do much without them. I’m not sure if I can sell? There is no silver bullet to selling plants, or anything for that matter. The secret is to start, then learn more and more and before you know it you’ll know what works and what doesn’t. Oh and remember, you don’t need anyone’s permission to start. That’s down to you so dive in and have a go. If you want to stand out from the rest of the crowd you’re going to need to offer something a bit different. Instead of simply delivering our plants in the local area we’re thinking of offering a modest deliver and plant service for customers that want it. Just think of anything that might get you noticed. Yes … when it comes to selling plants it’s all been done before, but the secret is not to copy what someone else is doing but instead come up with something that sets your nursery apart from the others. You have one unique selling point already and that is you’re a small independent which means you can dabble with different ideas and ways to present your new venture without too much risk. The way we look at it is we’ve nothing to lose as we pretty much started without investing a penny. Where do I find customers? The advantage of living in a rural community is people like to buy from other people. Sounds obvious I know but would you rather head to the local garden centre along with everyone else or would you prefer to pop round to the local back garden nursery have a natter, a cup of tea and pick the brains of someone that knows a bit about plants? I know which I’d prefer. We often hold impromptu get together so we can share what we’re up to. Works a treat! Very useful if you want to shift lots of plants in a short space of time. Also a great marketing opportunity for you and your business as you get to meet and greet new faces which is an opportunity to spread the word. The more people you tell about your little venture the more chance you have of them telling someone else. You can hold plant sales in your back garden or utilise one of the local public buildings. Most committees are happy to accommodate the odd plant sale in exchange for a small donation to the chosen charity. Pick up the phone and speak to a few local gardening service providers. Some may buy plants on behalf of their customers. Maybe they’d prefer to buy from a small local independent? Unless you ask you’ll never know and what’s the worst that can happen? They could say no … but then again they could say yes. Not as easy as it might first seem. If you planning to sell on the internet you’re going to need a low cost way to pack your plants and you’re going to need to charge for delivery. You’re also going to need to find a way for your customers to pay for your lovely plants. PayPal is the obvious choice but they will charge you for the convenience. Most small business owners that I know sell through Amazon, EBay, Facebook or through a sales page on their own web site. EBay and Amazon are the most prolific but your profits are greatly reduced due to their charges. Not ideal I know but both will get your plants and your business in front of a lot more people than you could ever hope to reach on your own. For that reason alone it’s worth giving it a try. You’re going to need a small web site to share information and to share your story. It’s a great conversation starter. It’s a massive topic and there are those better qualified to talk about it than me, but ignore it at your peril. It is THE most cost effective way to get your plants and your message out to the audience. But please … if you post lots of spurious chit chat after a while your audience (or Tribe as the trendy marketers call it) will become bored. Every time you put something out there try to make sure it’s either asking a question or solving a problem. That’s how you build credibility. That’s an easy one. Charge what you think your customers will stand. I had a lady round the other day who asked me how much I was charging for a 12” tall variegated weigelia in a 7” pot. I said £4.99. She nearly fell over … she’d just been to the garden centre and paid nearly £12.00 for pretty much the same plant! I took two lessons away from the experience. The quality of my plants were endorsed by the fact that she would have been happy buying from me and my price point was about right as it was sufficiently competitive enough for her to have wished she’d bought from me in the first place. But hey … I may have a customer in the future. Mike McGroaty in the US has made a living out of selling what he refers to as the four ninety seven plant. ($4.97) So much so that much of his marketing revolves around this price point. If you’ve never seem Mike’s videos then I urge you to check him out. He knows his stuff alright. I charge what I think a plant is worth and more importantly what my customer thinks its worth. 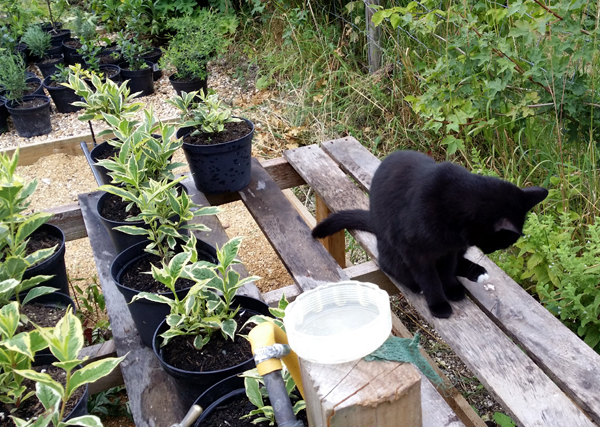 Yes that’s right … I do occasionally offer my plants for whatever price my customer wants to pay. After all … who’s better qualified to tell me what a plants worth than the person that’s about to buy it. It’s also a point of difference with your competitors. Yes you get the odd customer that wants to pay under the odds but most people I’ve dealt with have paid me the going price for my plants. In the next chapter in this series on starting your own plant nursery in your back garden we’ll go into a little more detail around how to advertise your plants for free and how you can create a lasting impression with your customers that will bring them back to your little nursery time and time again. 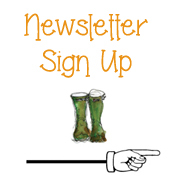 If you’d like a reminder when we post again then please do register for our monthly newsletter and we’ll be in touch. I have started a new Forum for those who want to make some extra money growing plants. As you have quite some experience yet, I would love you to participate in this forum!